Remember when 2-door muscle cars were cheap? Yeah. I do too! It was a long time ago...but thankfully the muscle car wars of the late 1960s were re-enacted in the early 2000s, so the glory days of cheap muscle is upon us today! 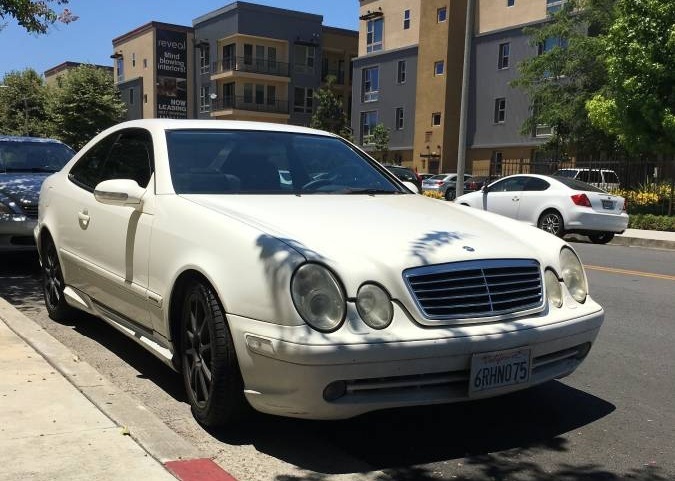 Find this 2002 Mercedes-Benz CLK 55 AMG offered for $3,500 in Lake Balboa, CA via craigslist. 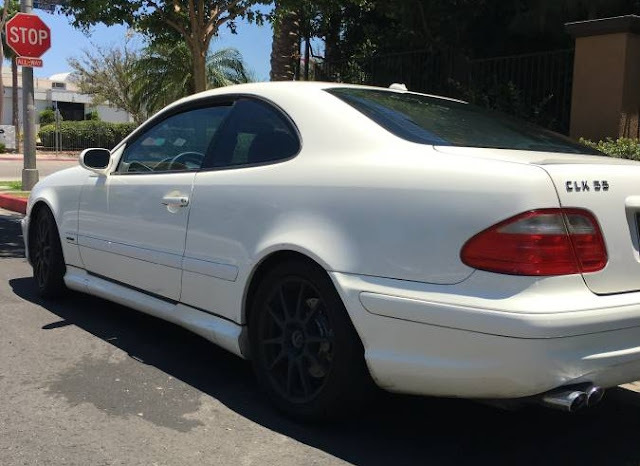 Tip from Sean S.
The W208/C208 generation of the Mercedes-Benz CLK was built from 1997 through 2003 on a chassis shared with the C-Class but with aesthetics and components based on the more expensive E-Class. When Mercedes-Benz built an AMG version, they didn't use the 4.3 liter V8 from the C43 AMG and instead used the 5.4 liter V8 from the E55 AMG. The 342 horsepower and 376 ft-lbs of torque will give you performance that won't be matched by anything in the sub $4k price range.